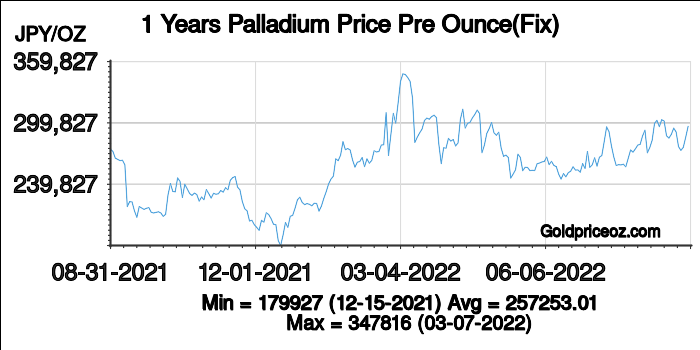 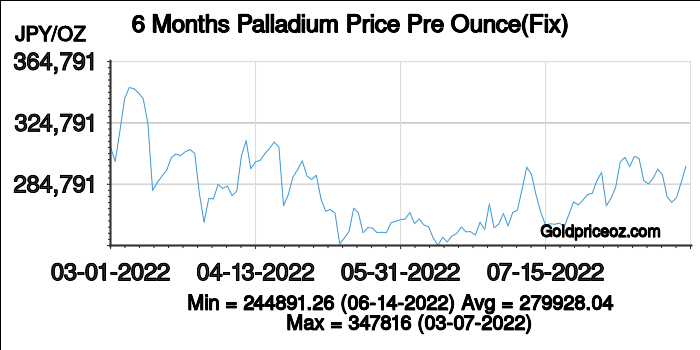 Palladium price in Japan in Japanese Yen(JPY) per ounce is a free service provided by Palladium Price OZ website, where shows current palladium price(including bid price and ask price) and palladium price history chart(London palladium fixing price). 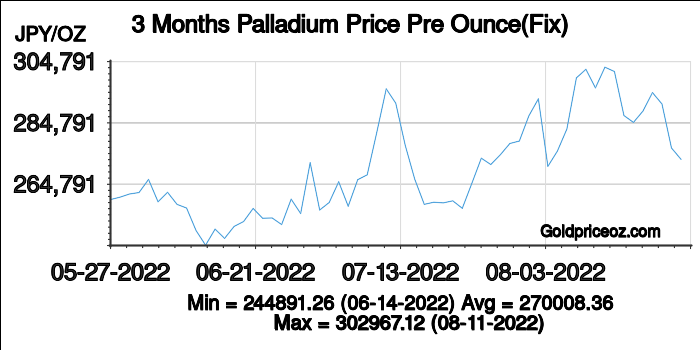 Palladium price in Japan per ounce today is being updated once every 1 minutes. 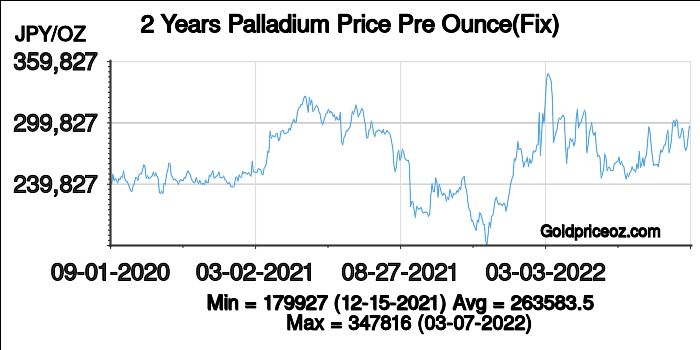 The TOCOM offers an electronic trading system for investors to trade contracts of gold, palladium, rubber gas oil, gasoline, crude oil, kerosene, palladium, and palladium. 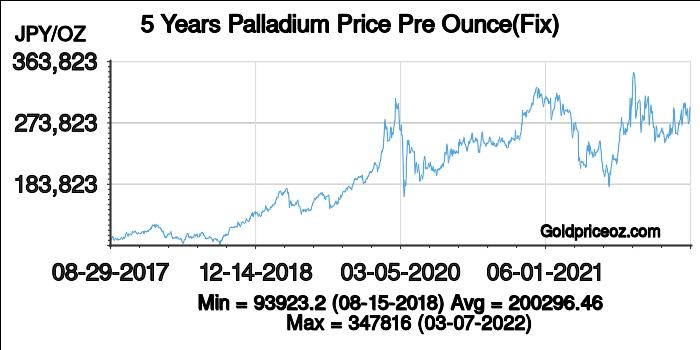 The participants of TOCOM are investment banks, trading companies, proprietary trading firms, individual speculators, commodity index funds, and overseas investment funds.